I know this post is long overdue. I’m sorry. We were on holiday for a week, without WiFi. After that, my laptop crashed, again! Thank you, HP. I really don’t want to go into that, just so you know: it’s frustrating and I am frustrated. 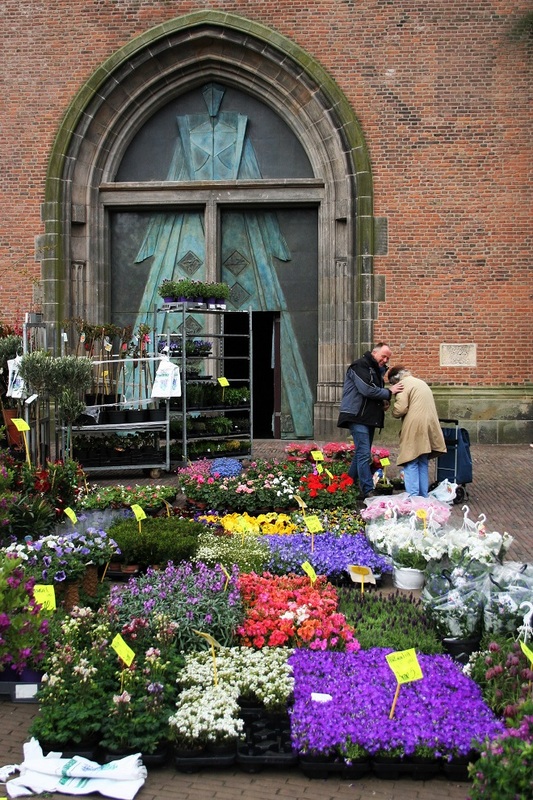 Back to the flower market. Of course, there are still tulips to be found at the market. In fact, April is the month the tulip season reaches its peak. The tulip season officially starts with National Tulip Day in mid-January and ends somewhere in mid-May. To celebrate National Tulip Day, Dutch tulip growers build a special tulip picking garden on Dam Square in Amsterdam. Anyone can come to pick free tulips here. If you are in the neighbourhood, this really is a fun event. During the season, approximately 1.7 billion Dutch tulips bring a welcome touch of spring to homes all over the world. It’s not just for fun, it’s business too. The blooming of the tulips and other flowers depends on the temperature during winter and springtime. This year, spring was very cold which meant tulips were late to flower. If you want to see the flower fields during peak tulip season you should visit Holland somewhere around mid-April. 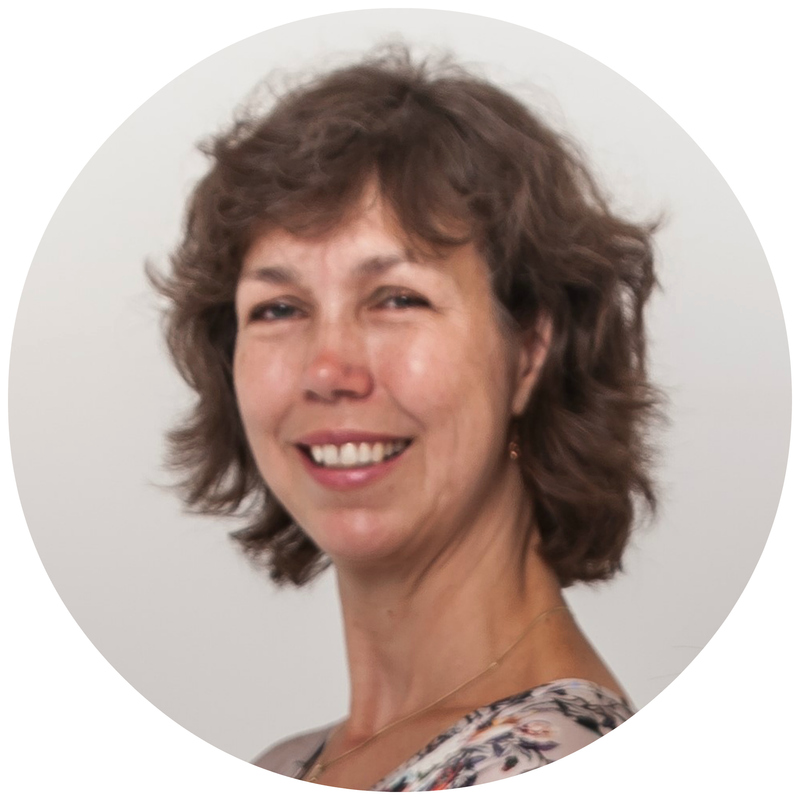 There is a very handy website called Tulips in Holland which brings you weekly updates on the bloom status of the flowers. This way, when planning a visit, you can easily find out which flowers are in bloom, both on the flower fields and the Keukenhof. The highlight of the Dutch tulip season is the Keukenhof. The Keukenhof is a large spring garden and a flower exhibition. It’s only open to the public for two months each year. Have you ever visited? I never have. It’s just for tourists, right? Well, maybe that’s not entirely true. My father took my mother to the Keukenhof on Mother’s day. Isn’t that sweet? I would have come with them, but we were on holiday. Most tulips you can buy at the market, the florist or even the supermarket, are grown in greenhouses. Fresh cut tulips from the fields are only available for a very short period. 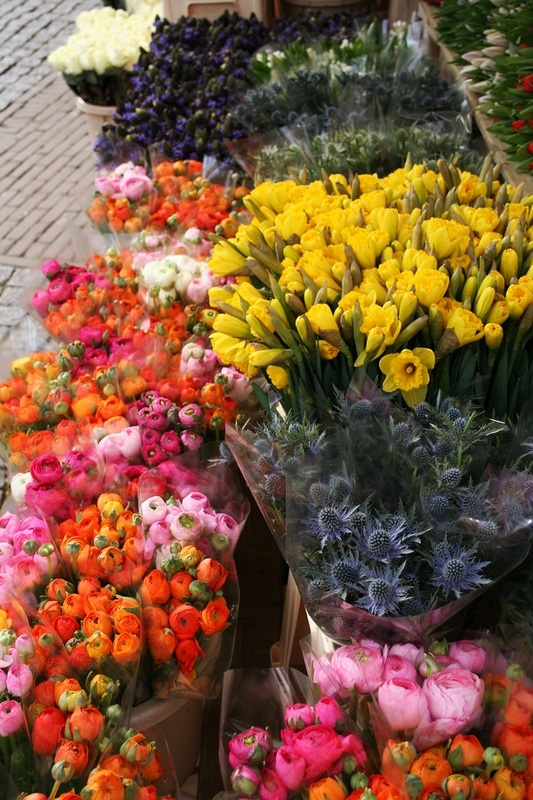 (Most of the flower farmers aren’t growing tulips as cut flowers, they are growing and selling bulbs). 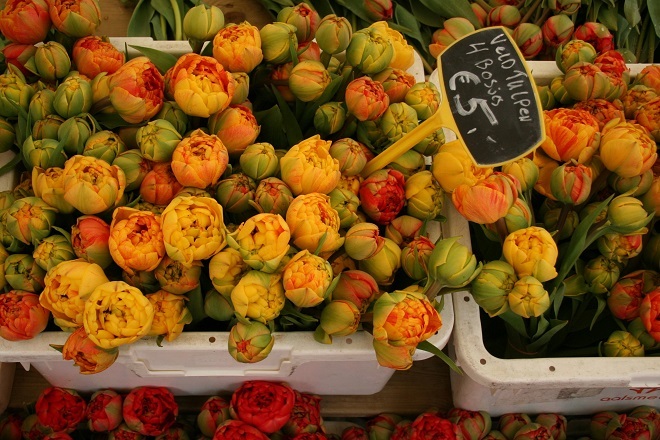 In peak tulip season, the flower market offers an abundance of field tulips, and so cheap too. It’s not unusual to buy them in bunches of 50! 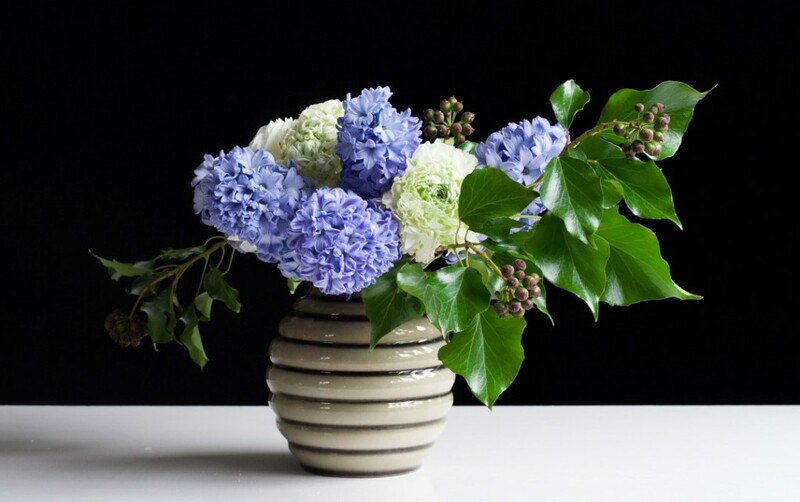 Flower farmers don’t just grow tulips, they grow daffodils, crocus and hyacinths too. Daffodils are the first flowers to bloom in the fields. 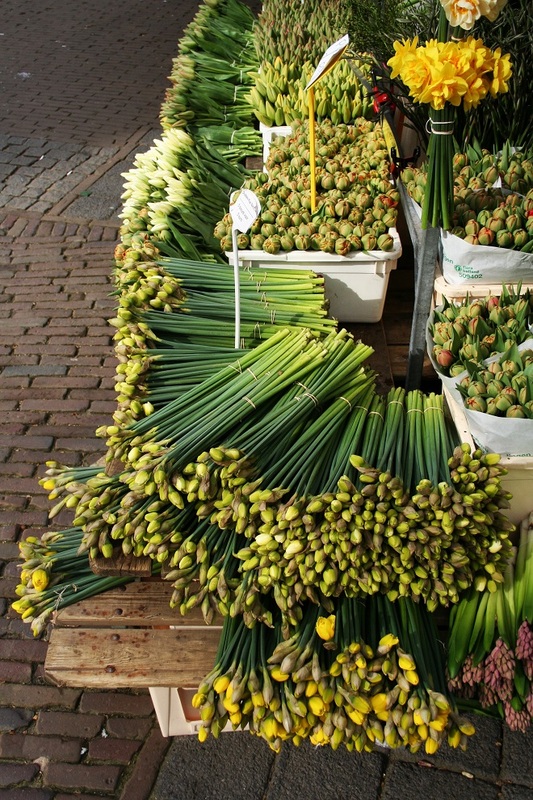 There were lots of daffodils from the fields being sold at the market at the beginning of April. There are many varieties of daffodils. I don’t especially like the ordinary, large bright yellow daffodils. In fact, whenever I find any in my garden I move them to a spot under the hedge along the pavement. I do like the smaller daffodils, in pale yellow and white, with ruffled cups, or the pure-white flowers of the Thalia, as seen in the garden I visited in April. Another truly seasonal flower is the ranunculus. Did you know ranunculus is Latin for little frog? I love ranunculus, with their layers and layers of delicate petals. 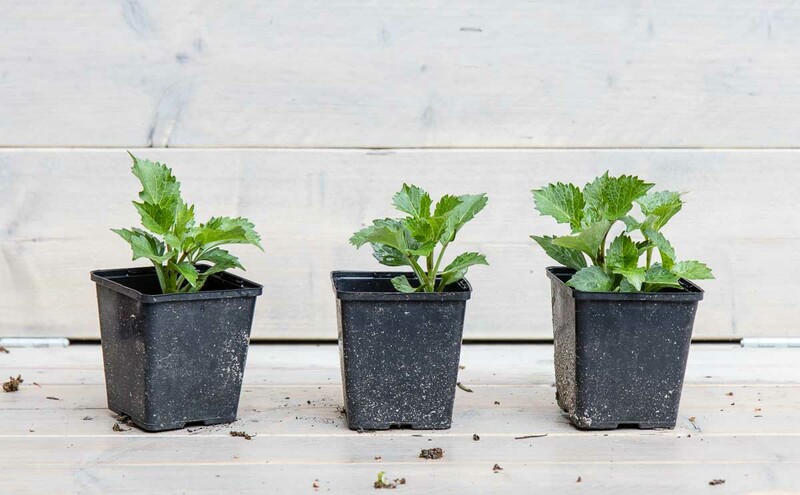 Just as the flowering spring bulbs, they are only available for certain months of the year, so enjoy them while you can. 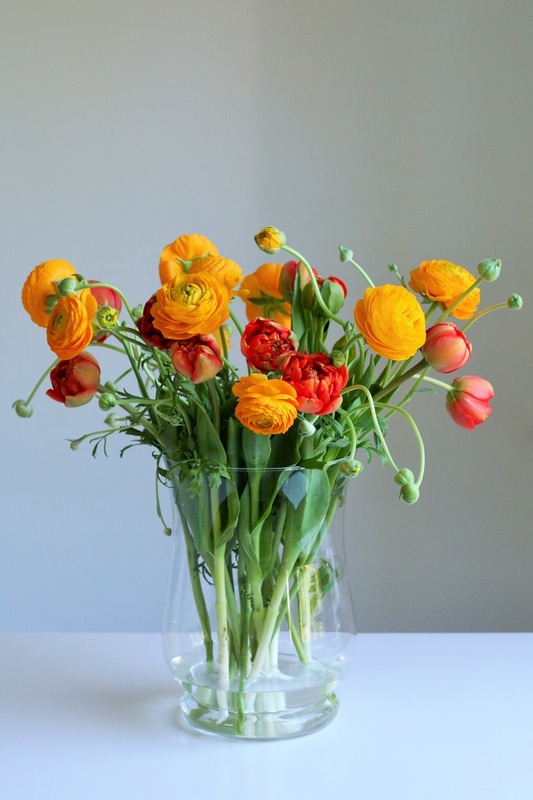 To celebrate King’s day on April 27th, I bought these happy orange ranunculus and peony tulips. And these sweet little narcissi were a gift from my mother. I really loved last month’s flower market, and hope to see you back next month! 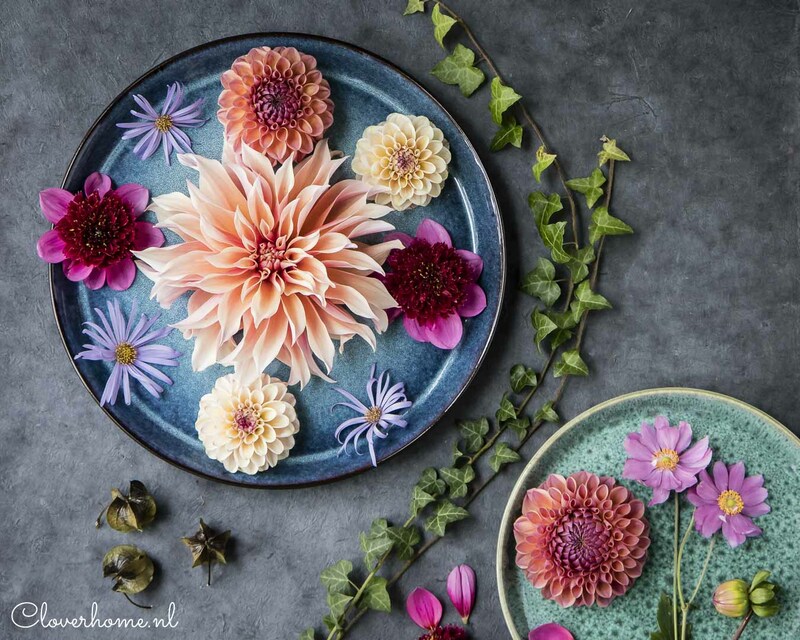 iedere bloemen en natuur liefhebber moet daar minstens een keer naartoe! I’m in love with all your beautiful ranunculus photos! 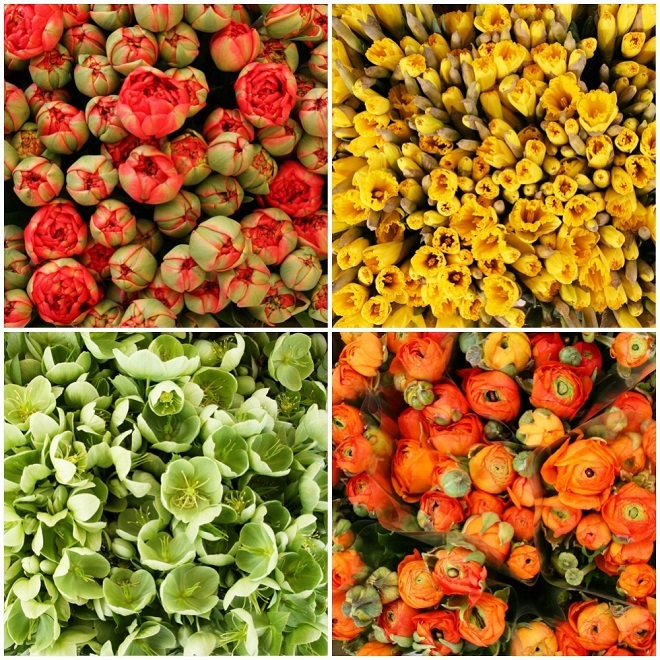 Tulips and daffodils are quite numerous here at the grocery stores and flower shops, but the ranunculus is not popular at all. If I ever see a bunch, you can bet I will purchase some to enjoy. For now, I will enjoy your photo of the beautiful display you made for King’s Day. Ranunculus are not popular?!?! However is that possible? I love ranunculus and will buy them as long as they are in season, which is not very long I’m afraid. I hope yiu will find some so you get to enjoy them on your own kitchen table! Thanks for posting! These are beautiful flowers. I’m excited to see next month’s flower market. Thank you so much, Janeen! I hope to see you back for Market days May, I can promise you there will be peonies.